← Why are Most Dice Games Light? Aquasphere was one of the new releases at Essen 2014 which I left behind due to a combination of filled luggage as well as the knowledge (gained at GenCon 2014) that Tasty Minstrel was going to be distributing it here in the US without much delay. Just after the turn of the year, a box arrived from Amazon with my copy of Aquasphere. In the game, players take on the roles of researchers in a vast modular underwater research station. Using their research bots, you’re trying to do all sorts of stuff to score victory points. At the start of the game, you first have to construct the underwater research station. In Feldian fashion, there are 6 weirdly shaped identical modules that are randomly arranged to create the station. Each module has seven different areas, each colored differently, and each colored area corresponds to a particular action – more on that later. There is a lock between each module which has a pre-printed cost on them. There is also a headquarters board – which has the scoreboard around the outside. The center portion of this board has room for your researcher to move amongst the different rooms in the headquarters. There is an icon which represents the action associated with each HQ room – and this is determined by a setup card which is chosen for each round. 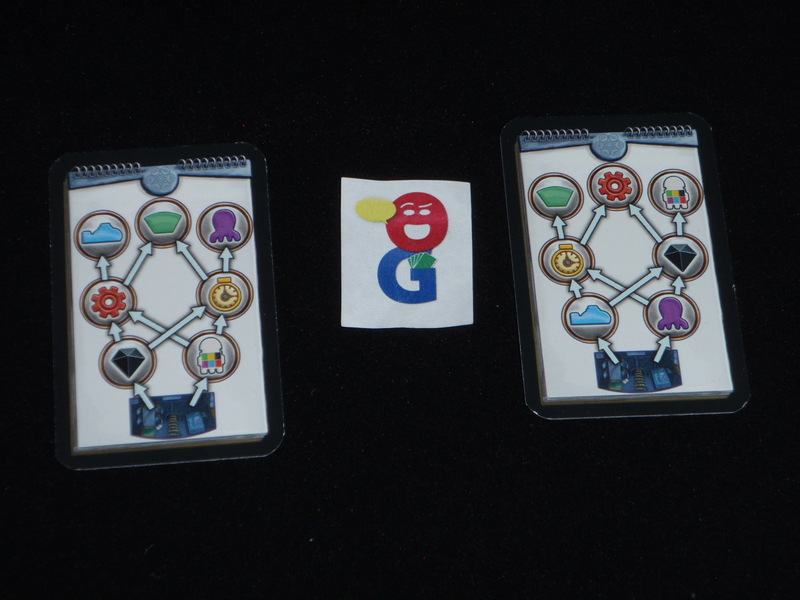 Each player is also given a base lab and a player board. The base lab outlines the limits of your research – i.e. you present capabilities. These can be expanded by adding other modules to your base lab. Your initial base lab has a printed letter on it (A-F) which designated in which module your researcher starts the game. You will also play your first submarine into the sub area in this starting module. The player board is where you store your unused bots and submarines. There is also an area at the top of the board where you show which of your bots are programmed for which actions. Each player is given 3 or 4 Time Markers to start the game. Finally, using a setup card – you fill each of the six modules of the research lab with time markers, octopods and crystals. Additionally, each module gets an action card placed next to each red section and a lab module next to each green section. Finally, you stack the central station tiles in the center of the board in order – the orientation of these tiles should be set randomly. Then it’s time to move onto the first round. The game is played over four rounds – each following the same format. Player order is randomly decided at the start of the game for the first round. For the remaining rounds, order is determined by when players have passed in the previous round. There is a chart on the Headquarters board that reminds players of the turn order. On your turn, you have only three options to choose from. To program your bot, you use your researcher on the Headquarters board. At the start of each round, all researchers are in the bottom-most section. Each section of the board has 2 arrows showing which two sections you can move to from where you stand. 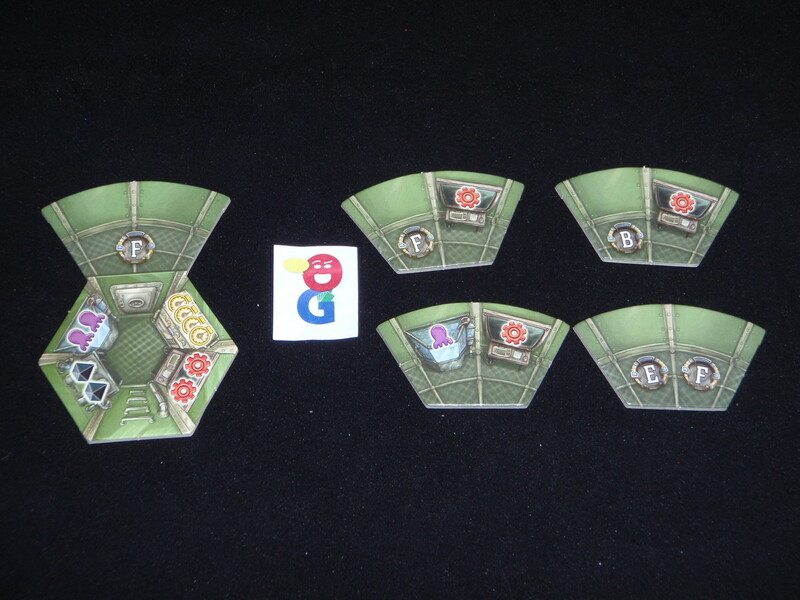 There are icons for each of the seven different actions, and their locations in the headquarters is determined by a randomly drawn setup card. In any event, when you program your bot, you move your research along one of the arrowed paths to an empty room. You then take a bot from your player board and move it to the corresponding area (which matches the icon in that area) at the top of your board – signifying that this bot is now programmed for that particular action. You can only ever have two programmed bots at one time – so if you would be programming a third bot, you have to remove one of your existing bots first. Any time during your turn, when you are forced to return a programmed bot OR you choose to return a programmed bot, you get 2 Time Markers from the supply. Alternatively, you could spent 3 Time Markers to place a bot on any un-occupied action program space. You do not need to move your researcher on the Headquarters board when you do this. You are still limited to the 2 programmed bot limit on this. You may only use this method of programming a bot ONCE each turn. You will take an action that you have previously programmed a bot to do. First, you have to figure out where you will carry out the action. The action happens in whichever module your researcher is standing in. You can move your researcher to any module in the station, but you will have to pay a cost in Time Markers for each lock you move through. Once you get the module that you want to be in, you place your researcher in the matching colored area to the action you are going to perform. Next, you take your programmed bot from your player board and place it in the central control spot for that particular module. If there is already a bot there in the center, it is displaced to the loading station. If the station is full, bots will be removed – every player is only allowed to keep one bot of their color in the loading station. All excess bots are removed back to the respective player boards. Finally, you take the action of the bot. If your Researcher in the Headquarters is already in one of the three top-most rooms, you can pass and move onto the first available turn order space. You are done for the round and will take no further actions in this round. You are not obligated to use all of your programmed bots before you pass. Again, there are 7 actions, each one corresponding to a different action – with each action, you place the programmed bot and place it in the central space for the module where you are taking the action. Green – Expand the Lab – At the start of each round, a green Lab module piece is placed next to the green area of each module. (If there one still there, the new one is placed on top of the stack there.) When you take the action, you take the topmost lab section there and add it to your own base station. If that new module piece has a letter on it, you may take an additional bot from your board and place it in the central spot for that letter on the module. This could again trigger a return of bots from the loading station. Yellow – Take Time Markers – each of the modules has a yellow section that is seeded with Time Markers in setup for the round. You take as many of these Time Markers as you can hold, leaving the rest behind. At a minimum, you can always pick up 2 Markers, even if the module is empty. Your limit of Time Markers is determined by the number of printed Time Markers on all the sections in your personal Lab. You start the game with a limit of 4. Black – Take Crystals – Take Crystals from the module until either you’ve hit your limit or the module is empty of Crystals. You start the game able to hold 2 Crystals. Purple – Catch Octopods – Remove as many Octopods from your module as you have capacity to do (again, based on the icons printed in your personal Lab). You score 1/3/6/10/15/21 for 1/2/3/4/5/6 Octopods removed. You start the game being able to remove 2 Octopods per action. Red – Take a Research Card – like the green Modules, each section also gets a new research card each round. Research cards may give you an immediate one-time benefit, an ability that can be used at the end of each round, or a permanent effect for the rest of the game. Like everything else, you are limited to a number of cards equal to the icons on your personal lab. 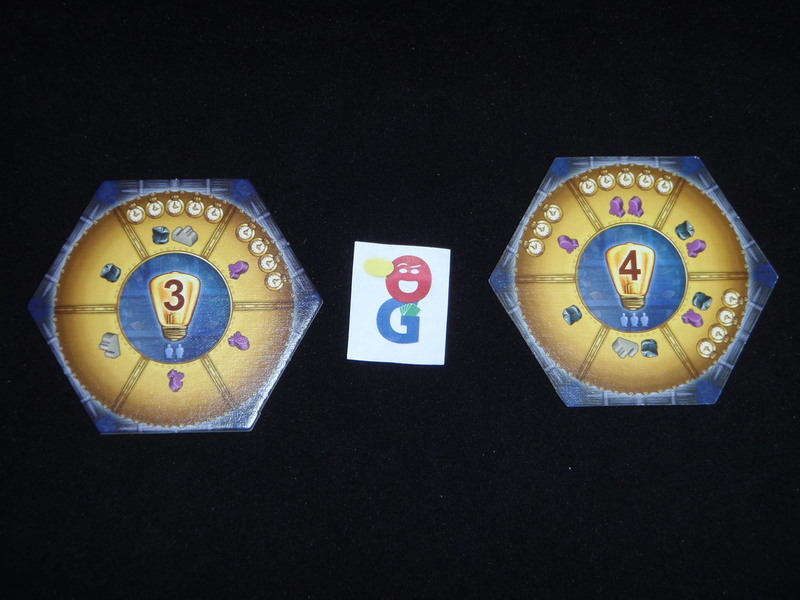 When you take the card, you also score a number of victory points equal to the number on the round tile in the center of the station. White – Program a Bot – each of the six modules in the research station has a different non-white action printed on the board. When you take your white action, you can then program a bot from your player board for the action corresponding to the printed action on the board module that you’re standing in. If you already have a bot in that action spot, you first remove the existing bot, gain 2 Time Markers (if you can hold them) and then replace the bot on the spot. Blue – Place a Submarine – You are allowed to place one submarine in each of the six modules of the research station (and coincidentally enough, you also have 6 total submarines to place). There is a escalating cost in Time Markers with each successive spot in each module. You must be able to pay this cost in order to place your sub. You also score as many VPs as the number printed on the central station tile. The round ends when all the players have passed. At the end of each of the four rounds, there is an intermediate scoring. There are a number of steps in this scoring, and they are conveniently summarized on the right side of your player board. 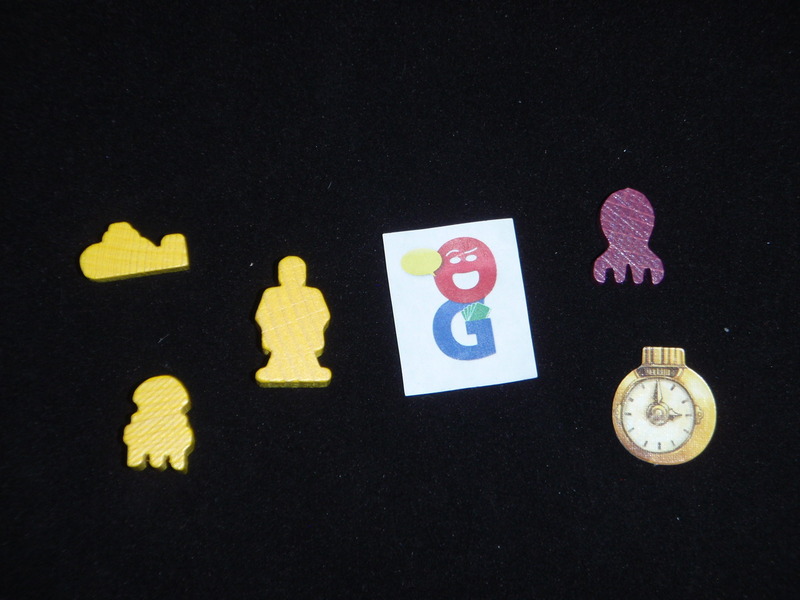 Gain Time Markers – you gain a number of Time Markers equal to the ones visible on your player board. These icons are uncovered as you place Submarines. You still cannot exceed your personal limit. Finally you score VPs. Each player calculates their own total, and it is important to calculate your total VP gain for the round before marking them on the scoring track. The reason you need to do this is that there are red lines (about every 12 points) on the track. If you come across one, you are not allowed to cross it unless you either return a crystal to the supply or return a programmed bot to the supply. If you do not do this, you cannot continue forward on the scoring track and all further VPs are lost. 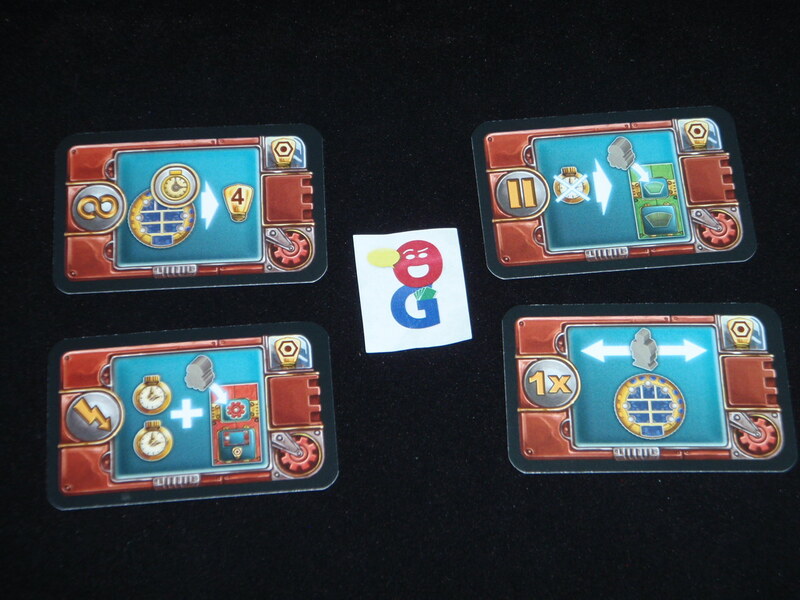 Score for bots – on your player board, there are VP icons printed underneath each of your bots. You score points equal to the highest visible VP icon that is ALSO in a column without a Submarine. Score for crystals – 1/3/6/10/15/21 for 1/2/3/4/5/6+ crystals in your supply. Negative points for octopods – for each module where your color bot is in the central control position, you score negative points for octopods in that module: -1/-3/-6/-10/-15/-21 for 1/2/3/4/5/6 per region. Again, you total the points gained/lost in all 4 steps here before applying them to the scoring track. You need to pay the cost if you cross a red line or else you are stopped for the rest of your scoring. If you managed to lose points, note that you cannot go back through a red line. Finally, you add Time Markers, Octopods and Crystals to the six modules of the research station. The number and distribution of objects is determined by the central tile – whose orientation was randomly decided in setup. The central tile is then removed and the new tile for the next round is now exposed. Finally, the action icons in the Headquarters are placed according to the setup card for the round. The four rounds of the game all follow the same course – players program bots and then use them, and then they pass when they’re out of things to do. At the conclusion of the fourth round, there is still an interim scoring as outlined above. Then there is a Final scoring to end the game. Importantly, in this Final scoring, players no longer need to pay to cross a red line of the scoring track. The player with the most points wins. Ties go to the player with the most bots on control spaces at the end of the 4th round, then to the player with the most crystals left. As readers of this blog will likely know, I’m generally lukewarm about Feld games. I’ve often found them to be too similar with too many pathways to score points and rules complexities thrown in just for the sake of complexity. 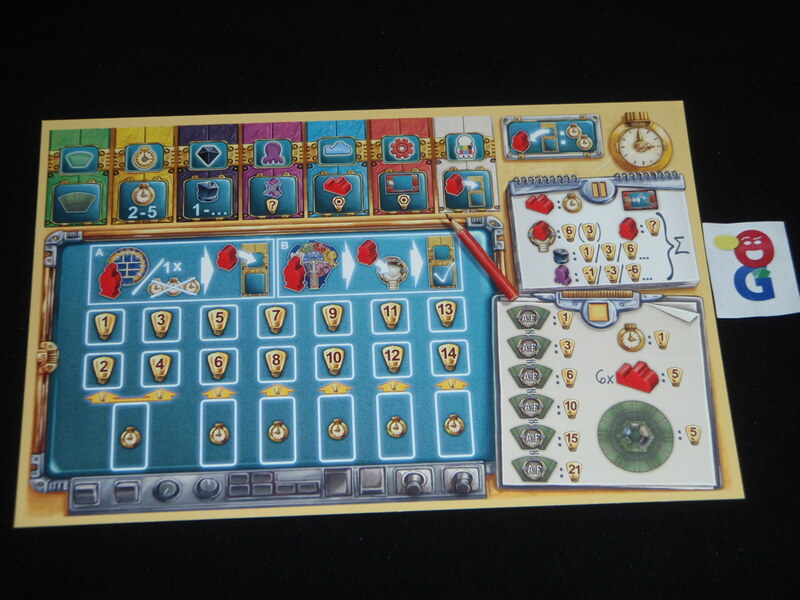 Aquasphere is still a “point salad” game, but one which isn’t as complex as it might seem at first blush. There are many different ways to score points (Octopods during play, crystals at the end of each round, letters in your base at the end of the game, bonus cards, etc…). Also, in Feldian fashion, there are cards which give players special actions which break the normal rules. Admittedly, the rules are a dense 12 pages, and it probably takes a game or two to get a hold of the different options, but once you get a hang of them, the game is actually pretty easy to get your head around. You realistically only have two options on your turn: to program a bot or to use a programmed bot. Furthermore, depending on the game state – i.e. if you have no programmed bots or if your engineer is already on the top row of Headquarters – you may really only have one viable choice. Each of these two turn choices are further restricted – when you program, you generally only have 2 options of where to move your researcher in the Headquarters board, and when you use your programmed bots, you generally only have 2 choices because you’re restricted to only having 2 programmed bots at any time. This restriction in options makes each individual decision much easier to process; you generally have at most 4 options to consider on your turn, and this is a pretty low number for a Feld game. Now, I’m over simplifying the decision process to a degree, because there are still plenty of things to consider with each action such as which module to perform the action in, and the possible costs involved moving to that module, and the ramifications of module control as well as loading dock population – but it’s nice to have to have a limited set of possibilities to consider. For a point salad game, the scoring options seem to be fairly balanced amongst the different options. I have seen players score significant totals from removing Octopods from the research station. Given the arithmetic progression of scoring, if you have built up for Octopod removal capabilities and the timing works out, you can get a couple of nice payouts. Likewise, if you’re able to collect (and hold on to) crystals, the same arithmetic progression of points scored at the end of each round can pay off handsomely. As you would expect though, the game really wants you to diversify your actions to a degree. For instance, without Time Markers, it’s hard to do much, so you’ll need to figure out some way to get these. Furthermore, adding modules to your base lab will increase your overall capabilities and make your later actions more powerful. You need to place some submarines, because without this, it’s hard to score points for your placed bots – you need to place subs somewhat in concert with your bots. While the game wants you to do a little bit of everything, there really aren’t that many opportunities to do things. There are four rounds in the game, and at a minimum, you get three programmed bots per round – so, you will do at least 12 actions each game. However, there are plenty of ways to get more actions – you have the option of paying for a programmed bot each round, and with certain Research cards, you can program a bot per card in the interim scoring phase at the end of each round. In my games thus far, I’d say that most players are getting somewhere between 15 and 20 actions over the course of the game. Either way, that’s still not a lot of things to do when you’re trying to split them over 6 different possibilities (I don’t count white here as a choice because it’s action is really just a temporizing measure to take one of the other six choices). While we’ve played the game, the one thing that we have had to consciously think about is remembering to score points when getting research cards and placing subs. I think this is more of a player issue than a game issue. The scoring icon is clearly printed on each research card and each sub space on the board, but it seems like we were often forgetting to log those points as they were scored. Normally, in a game, it doesn’t matter much if you can go back and fix it later – but with the dynamic of the red line barrier on the scoring track, it’s much harder to accurately reconstruct the situation at the time of the scoring. The timing of scoring is important because of the cost you have to pay to cross that red line – you have to have the crystal at the time of crossing the line or you might have to remove a programmed bot which would affect your options later in the game. 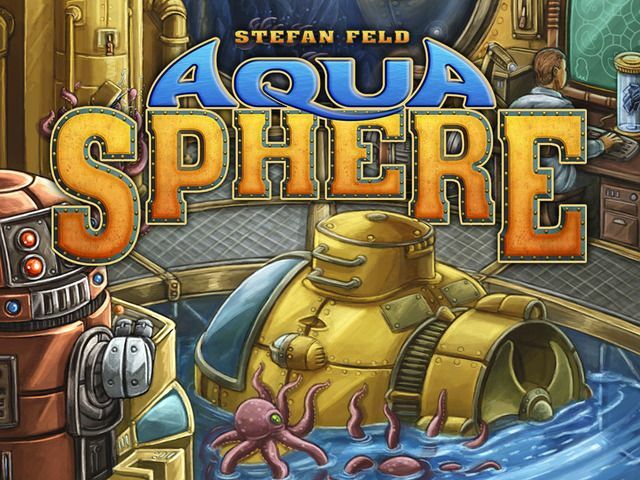 While I know I still have a lot to explore in the game, thus far I have liked Aquasphere. Though it can be overwhelming at first, I feel that the game is actually pretty streamlined and conceptually easy to handle. The game box lists the game length at 120 minutes, but we’ve yet to have a 4p game go much more than 90 minutes. While not good for all families, my boys were able to pick up the game after the first round or so, and this is one that will get more play on nights where we finish homework early. At the same time, it’s clearly meaty enough to be the centerpiece of a gamenight with my regular gaming group. It hasn’t eclipsed Burgundy as my favorite Feld, but it is currently vying with La Isla for second place on that chart. 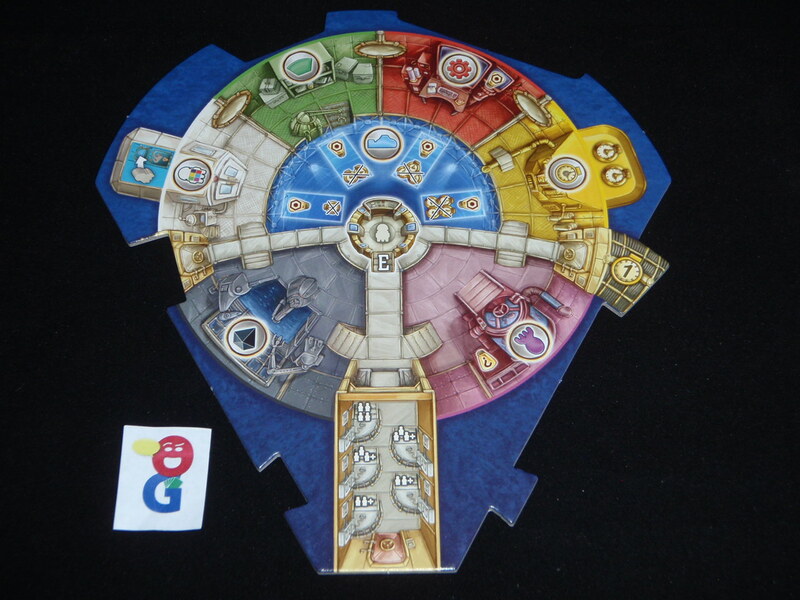 Ben McJunkin (3 plays): Aquasphere is probably my favorite Feld game (caveat: I generally dislike Feld games). While Luna is probably a better design, and Bora Bora may be more fun (if only because it is more vicious), Aquasphere best accomplishes the marriage between accessibility, enjoyability, and challenge. It is a well polished, well produced, upper-middleweight Euro. The theme and aesthetics are great. The game’s biggest weakness, in my eyes, is that most of the actions involve passively collecting points (or things that translate fairly directly to points). While that’s no dealbreaker (the same criticism can be leveled at Five Tribes, which is among my favorites for the year), it limits a game’s ceiling by reducing too many of the decisions to value-comparisons without second- and third-level considerations. Still, a very good game. Looking forward to continued plays. Jonathan F.: I played it. We got the rules right, but for me, these larger Feld games don’t give enough bang per unit of time spent. There are two reasons, first, they take a while to play and often require a rules refresher for at least someone at the table, so it a the one game you would play at a weeknight gaming session unless everyone is pretty facile with it. Second, it does not hit the pleasure parts of the brain for me. There are very few aha moments so it is more of a steady climb without high highs and low lows. There is a third related factor, which is that there is not much you can do to plan ahead. I try to plan ahead and due to the previous players move, there is one more squid in a chamber between where I am and where I was headed. Oops, now I have to rethink my entire play while everyone waits. I appreciate the design, literally circles within circles, but games like this are not why I game. 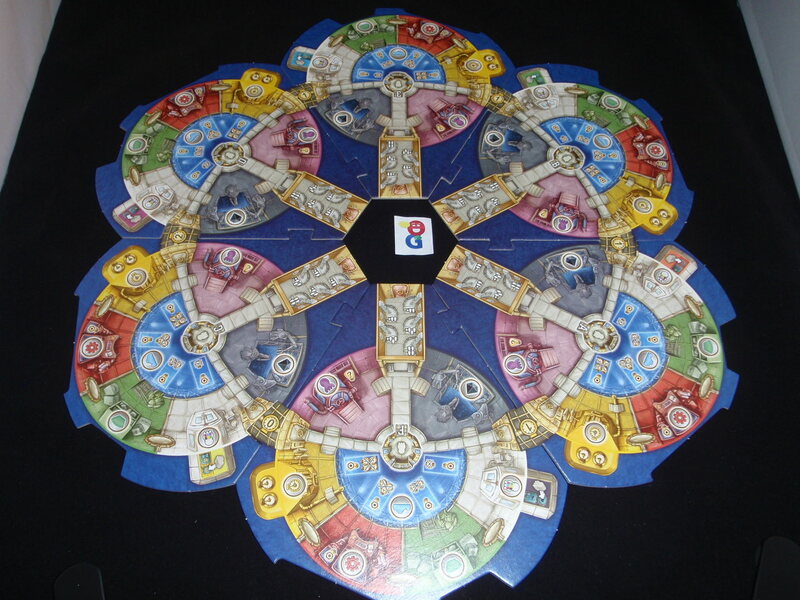 Joe Huber (1 play): Apparently, if Ben likes a Feld game, I should avoid it like the plague. I didn’t dislike Aquasphere as much as Bora Bora, but it was close. The theme failed to work for me, the game continuously frustrated, as options are very narrow, and at no point was I actually having fun. Worst, Feld’s most interesting games for me are those with a really clever central mechanism which outweighs the thematic issues. 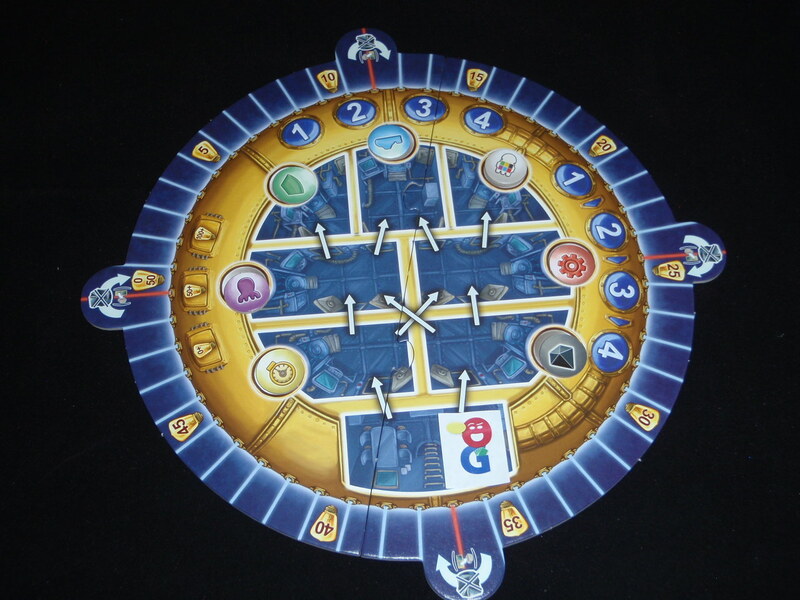 AquaSphere never felt like a clever design to me. Luke Hedgren (2 play): The theme is sorta silly. In my head I am constantly annotating the rules with the facetious “….just like in real life.” Like, “you can’t pass a red laser unless you pay a black crystal….just like in real life.” But, you know what? That did not deter my enjoyment in the slightest. Feld games have this internal consistency, or organization, that just seems to jive with my brain. They often have a core set of options for each action (or card, or whatever that game provides.) And each of those core options has a consistent way it is implemented, and they score differently, and they all interact in obvious, but then also subtle ways. This time you can avoid action type A, and do a lot of B, because you got some cards that reward B. Next game, you might go a whole different way, but then be thwarted because another player stole ALL THE OCTOPODS right before you were going to kill them all. This planning and replanning and figuring out the interactions on the fly, is one of the things I love about games. Aquasphere is really the epitome of the recent Felds. Asymmetrical options, presented symmetrically, for the players to use to get in each others’ way, and score some points along the way. 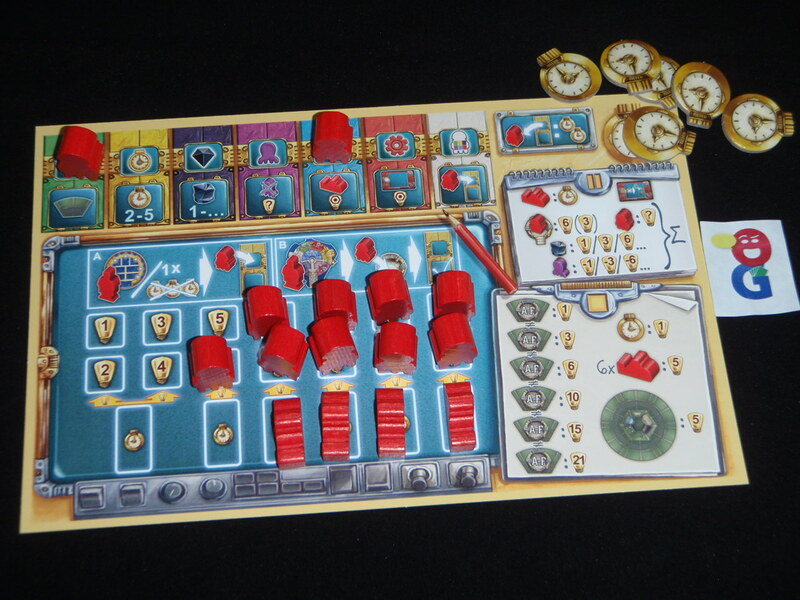 This entry was posted in Essen 2014, First Impressions. Bookmark the permalink.